We are excited to share our second Help Somebody Spotlight of 2017 – Katharine Hunt! 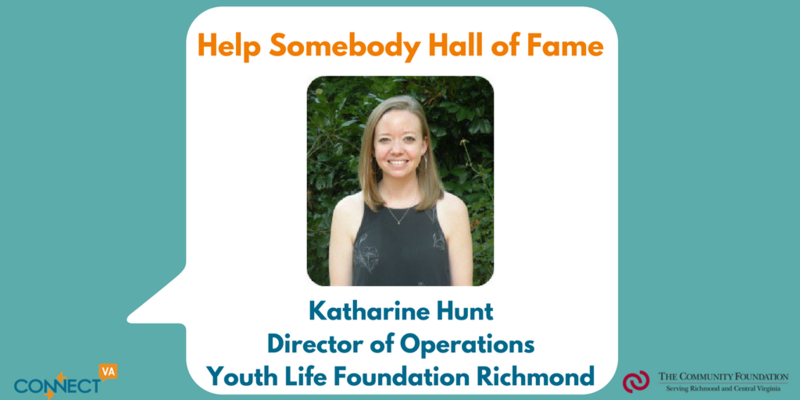 Katharine is the Operations Director for the Youth Life Foundation of Richmond, but, as the person who nominated her (who asked to be anonymous) says, she truly goes above and beyond her role at the organization to personally live out the mission – making long-term investments in children from at-risk communities. How does Katharine act selflessly to improve the life of someone else? Katharine has worked for YLFR for around ten years. She has gotten to know the families very well through the years and has a heart for a particular family we will call the Browns. 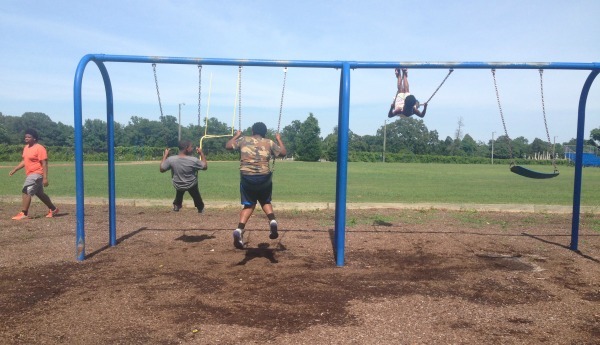 Ms. Brown is a single mom raising seven children ranging in age from infant to nineteen. Katharine did the most selfless thing last summer. When the mother was in the middle of a particularly trying season of life with a newborn and the death of her husband, Katharine offered to have four of Ms. Brown’s children stay with her for around six weeks. Katharine has two bedrooms in her house but she made it work. She set up bunk beds and those children grades 3, 6, 10 and 12 had a summer of peace, learned new things such as how to make a healthy dinner, and interacted with all of those friends and family in Katharine’s life which made their lives so rich! What is the impact of her generosity? Katharine was able to give Ms. Brown space to think, recover, and plan for the future. She worked on finding a job, caring for her newborn, and getting her life back together. Katharine reconnected with the oldest daughter who is 19 and never completed high school. This fall Katharine sponsored her through a program where she received classes to earn her GED and further her education. Katharine was able to guide the high school senior in his pursuit of college and make sure that either she or someone she knew got him to and from work daily so he could save up for college. The high school sophomore is one of our strongest leaders today in our high school program due to the constant mentoring of Katharine and was able to intern with YLFR this summer and grow in leadership and stewardship. 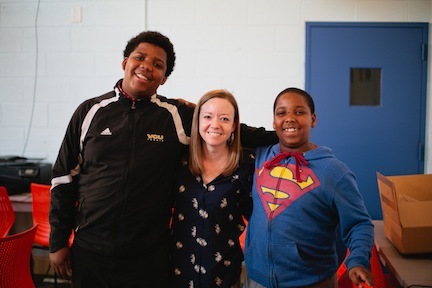 The sixth grader who has anger due to very sad circumstances in his life was loved unconditionally and given an opportunity to attend a week long camp and have experiences he never would have had staying in Richmond all summer. The third grader visibly changed in attitude as I personally experienced when she spent some time having play dates with my girls. The toddler and infant had more of the attention from their mom and grew and thrived. All of these things happened because one young woman opened up her home and her heart! Katharine is quiet, unassuming and sometimes goes unnoticed, but she is the backbone of YLFR. She is the one who has been a constant these past ten years and has made sure everyone sticks to our vision and mission. She is the one who cares for our staff of ten making sure that space is given for recovery as working with the communities we serve is difficult. She puts in place training, staff retreats, incentives, and rewards to keep everyone motivated. She is the listening ear, the servant leader who helps with all the details so the rest of the staff can work with the children uninterrupted. Many people have lots of charisma but little character. I would rather have ten Katharines on my staff who build others up and keep themselves out of the spotlight because she is the real deal. What she believes, she lives every single day of her life! Want to nominate an outstanding community member, board member, staff or volunteer for the “Help Somebody Hall of Fame”? It’s easy! Just answer 2-3 questions about the individual and the impact that they make in the community! Not only will you be sharing this person’s story, but there will also be an opportunity for a nonprofit (of the nominees choice) to win an award of $1000 – made possible by an anonymous donor through The Community Foundation Serving Richmond and Central Virginia.